Today is opening day and my Sox (WhiteSox) put it on the Royal’s with a dominating pitching performance. Opening day and this performance reminded me why I love baseball and the White Sox. There’s not many more memories that stick out more to me than going to a White Sox game with my mom. My mom knows about as much about baseballs as she does installing servers. But, every season since Harold Baines (I’m guessing because his of his swing?) 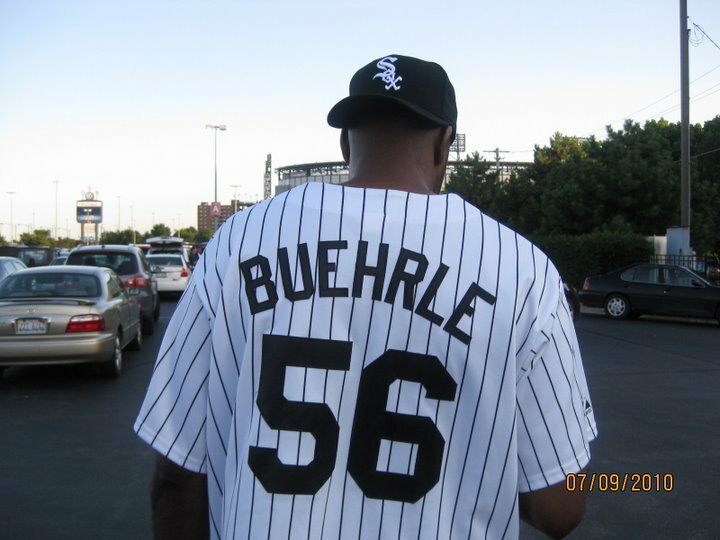 played for the White Sox my mom would take me and my older brother to White Sox Games. We lived on 45th and Indiana while Old Comisky was about 3 miles away. My mom would pack me and my brother up and we’d make the walk to the ball park. I remember one standout pitching performance. I was maybe 6 years old and hadn’t really caught the fever for baseball. It was the top of the 7th inning (maybe 6th) and there was a base hit by the other team. Everyone in the stands got up and starting clapping. I remember tugging at my mom and asking her why was everyone clapping for the other team. She explained that this was the first hit the other team had the whole game. I remember thinking, “Wow that’s really nice of Chicago fans to encourage the other team.” Let’s just say that since then I’ve learned a little more about the importance of a no hitter.